MDM recently spoke with me about getting the most from your existing technology for its annual Distribution Trends Special Issue, out now at mdm.com. I spoke with Associate Editor Eric Smith about the importance of starting with processes, not systems, when considering new technology. 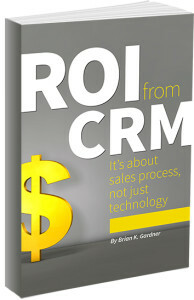 Join me for a quick 30-minute webinar on June 23, 2-2:30 ET, based on my new book ROI for CRM: It’s About Sales Process, Not Just Technology. 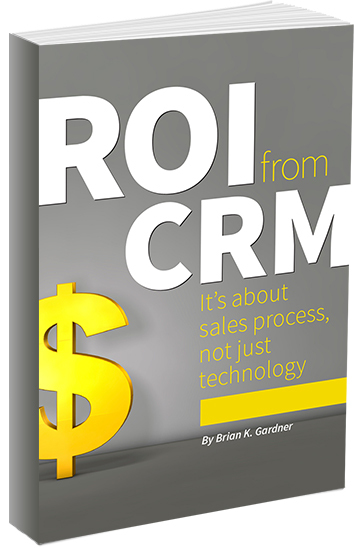 There’s more to success with CRM than your initial investment in a system. In fact, the cost in time and money can be up to four to seven times that of the software itself, depending on what you want to roll out to your team.